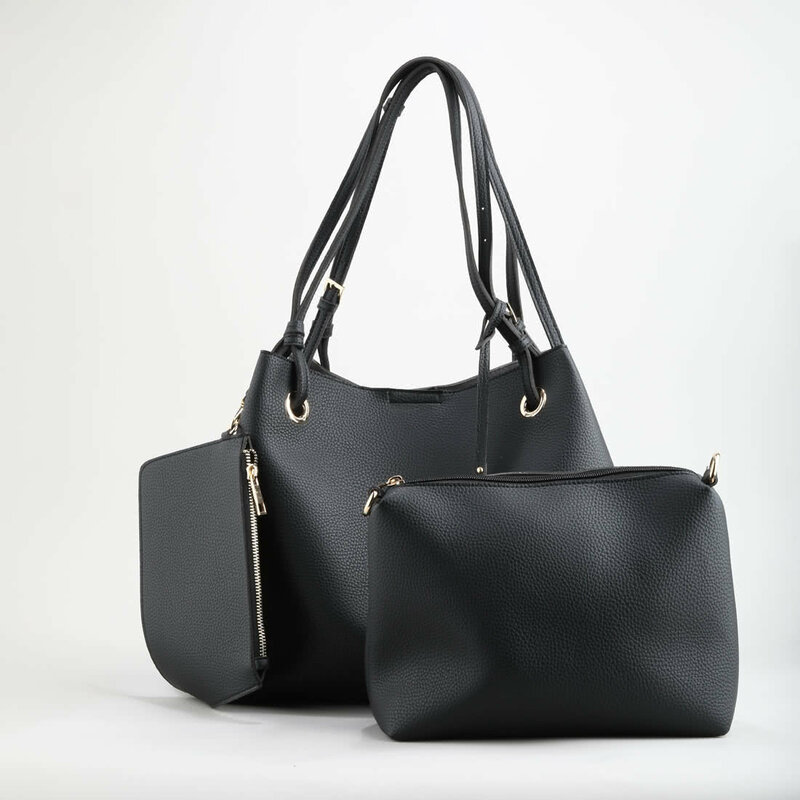 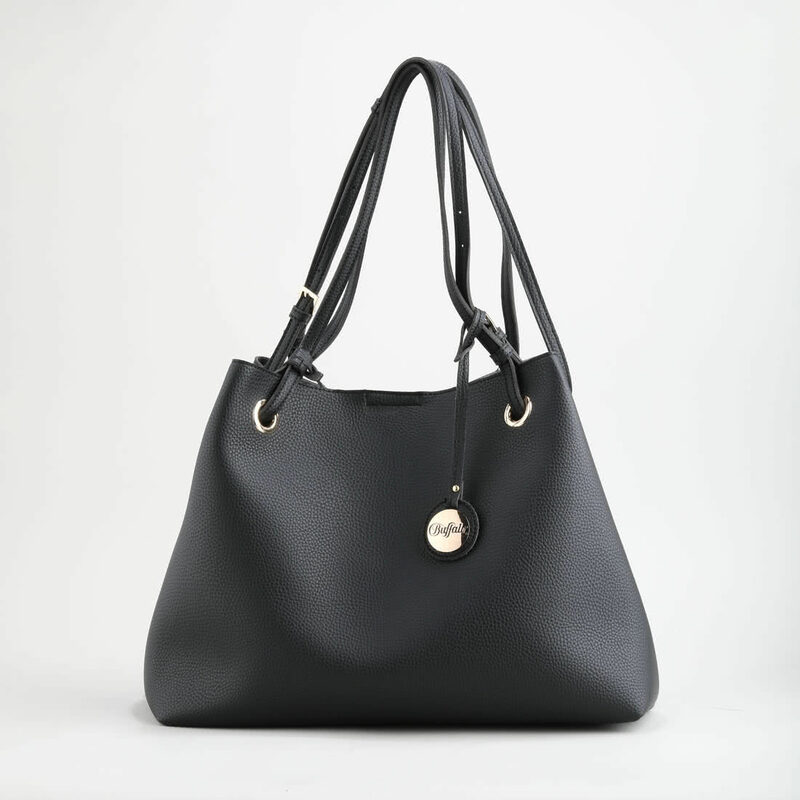 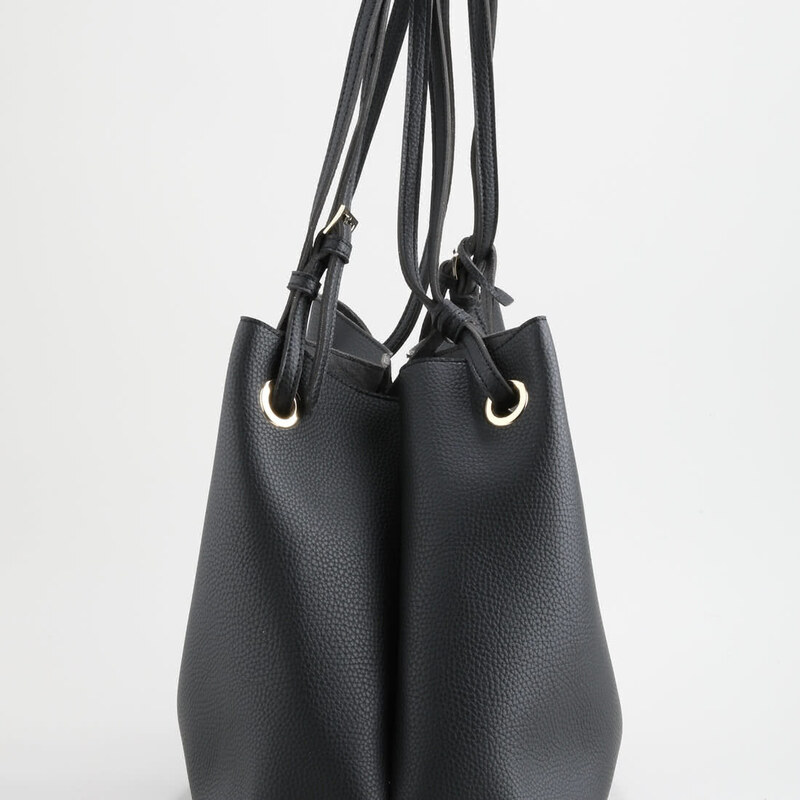 In the 3 in 1 shopper, minimalist black meets modern functionality. 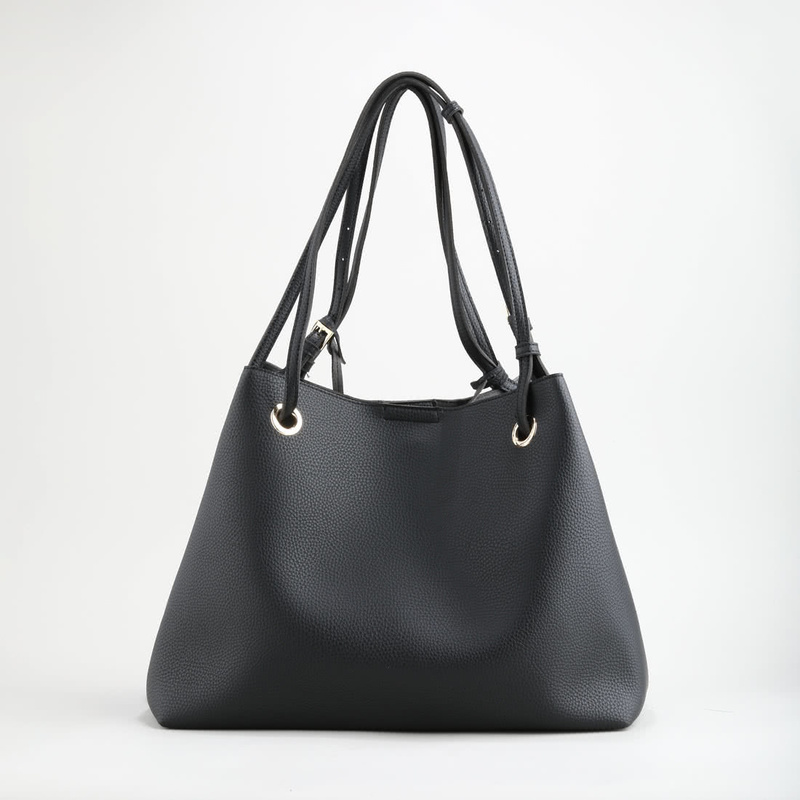 This bag is made in a durable leather look, equipped with an adjustable handle and a practical snap fastener. 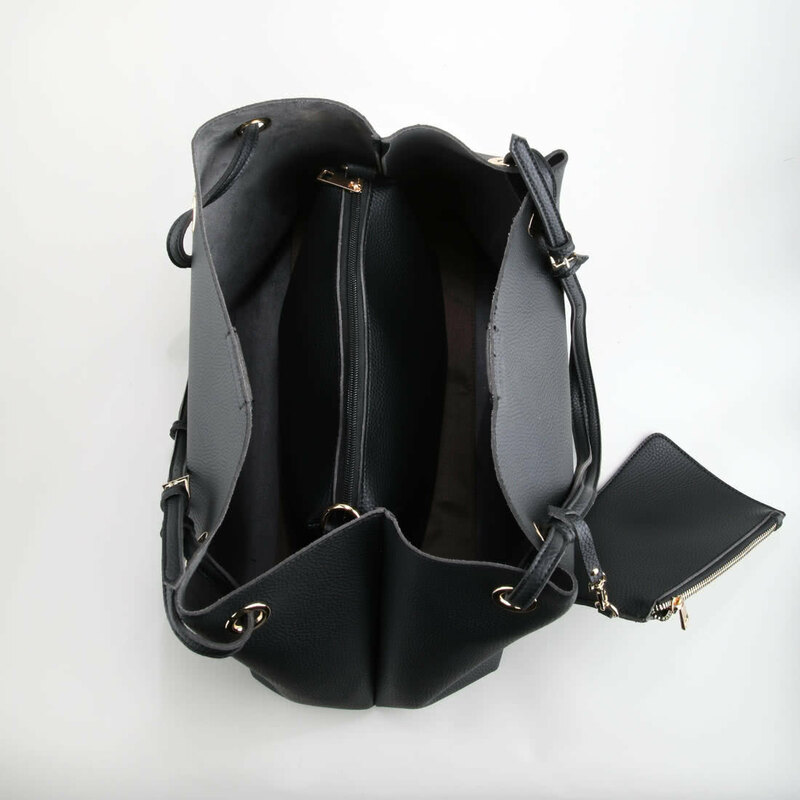 In addition, it scores with two removable inside pockets which provide plenty of practical storage space for small items and essentials.